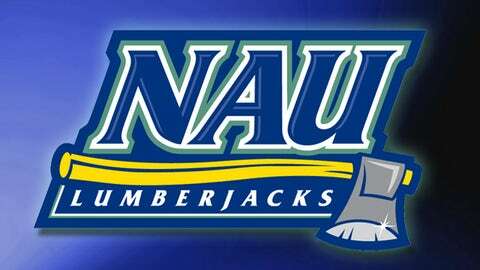 FLAGSTAFF, Ariz. — The Northern Arizona women’s basketball team started fast and strung together a second-half rally but ultimately came up just short in a 78-72 loss to LIU Brooklyn on Monday to close out nonconference play. Despite a highly efficient night shooting the ball, the Lumberjacks fell to 3-6 heading into the Big Sky schedule, which starts Thursday. "We got the shots that we wanted; we like to shoot layups and free throws, and we got them but we missed them," said NAU coach Sue Darling. "In the first half, our defense broke down, and I give credit to (LIU). They came back right at us (after falling behind 8-0), and in the second half, once we got stops defensively, we made our run, but we couldn’t finish it out." The Lumberjacks could not have started off any better, as they raced out to an 8-0 lead on four layups — two coming from junior Raven Anderson — in the first three minutes, forcing an LIU Brooklyn timeout. The Blackbirds would slowly claw their way back and eventually knotted it up at 25-25 with seven minutes remaining before a 10-0 run gave them a 10-point lead with 1:40 until halftime. A 3-pointer by NAU freshman Rene Coggins stopped the run, but LIU Brooklyn entered the half with a 37-28 advantage. NAU’s deficit grew to as much as 13 early in the second half before senior Amanda Frost caught fire as the Lumberjacks began to mount their comeback. Held to just two points in the first half, Frost poured in 15 points during the first 10 minutes of the second ,and her layup with 10:46 remaining evented the score at 53-all. The Blackbirds held onto a one-possession lead for the next minutes before Frost once again tied the game at 63-63 with four minutes to play, but LIU Brooklyn’s Sophie Bhasin ensured that her team would leave with a victory as she scored nine points down the stretch. NAU closed the gap to 74-72 with 34 seconds left, but that was close as it would get. The Lumberjacks suffered the loss despite shooting 46.9 percent from the field including 51.5 percent in the final 20 minutes. The Blackbirds matched them though as it shot 51.7 percent after the intermission and 47.4 percent for the game. NAU also outrebounded LIU Brooklyn, 37-36, but was hurt by a 12-point differential from three-point range and an eight-point margin at the free-throw line. Frost led NAU with 22 points for her fifth 20-point of the season, and she was joined in double-figures by Anderson (15) and freshman Brittani Lusain (11). Anderson pulled down a season-best nine rebounds in narrowly missing a double-double, as did junior Erikka Banks, who had eight points and 10 boards. Coggins added a career-high seven points and three assists. "We have two practices to get ready for Montana," Frost said. "I feel that against better teams, we play harder. We have all the pieces to the puzzle to win a lot of games this year and we’re right there. Coach has been talking to us about starting off conference play well and we’re just going to play our game."